Do you feel that your special days of the month are the most difficult ones? You have multiple mood swings, feel bloated, and get constant headaches, constipation, and unbearable cramps. These become even more difficult when you are not wearing the right sanitary pad. A major reason for this could be that you are not aware of the type of pad you want to wear or the right pad is not available in stores. Cheetay.pk is there to help you get what you want on urgent basis in case you opt for express delivery otherwise it can take two days. Sanitary pads were invented especially by the French women for convenience. However, they were never easy to wear but could be reused. Over the years hygienic disposable sanitary pads were created. 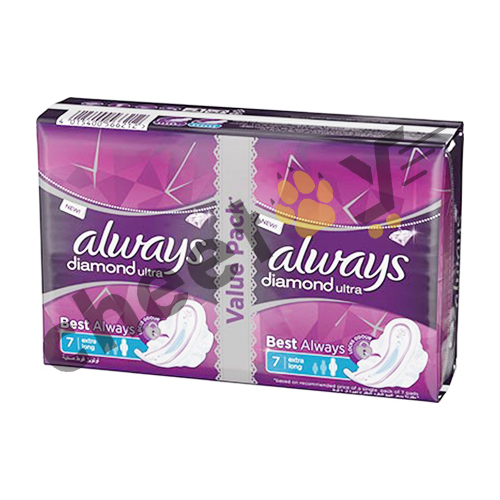 Today, these come under the name “Always” and are used by women of all ages. It is interesting to know how this product was made by P&G. 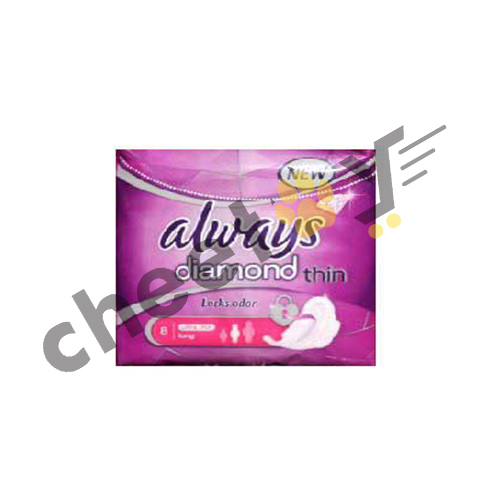 After the problems that women faced with home-made pads and those that were bought from the market, the company came up with an exclusive material called infinicel. This they claimed was the core element of the pad placed between a porous liquid top layer and an impermeable liquid bottom sheet that has glue attached to it so that the pad can stick with the undergarment. What feels like plastic once you touch the pad is the bottom sheet and polymer powder that is a potent absorbent become a gel when dampened. Always now comes in many forms and shapes. If you are a teenager, it offers you a whole school-day protection with incredible comfort. 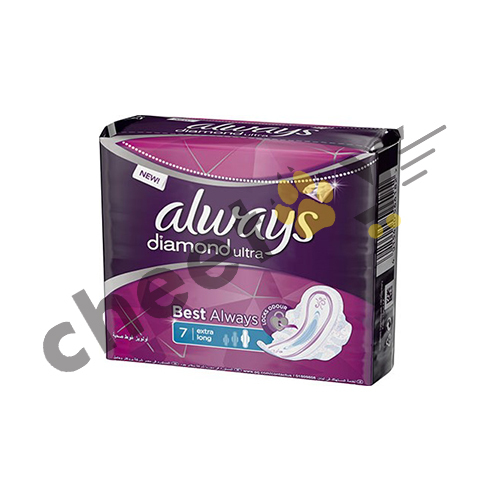 For women in twenties or above, there is a whole range of sanitary pads starting from Infinity with flexfoam to Maxi thick with or without wings. Always claims that ultrathin pads have Zero Feel. They are used for daytime as they can give you 10 hours of leak-free protection. They also have moisture- wicking technology to keep skin dry and clean. They come with flexi-wings that help in adjusting according to the size of the undergarment. Maxi Thick pads on the other hand, consist of deep channels that set the fluid into the core by guarding against any leaks. For night time, they have a different set of pads that are used for heavy overflow. For those who are allergic to scented pads they can get Pure and Clean Ultra-thin Pads with wings that are free of chlorine, bleaching or dyes and fragrances. 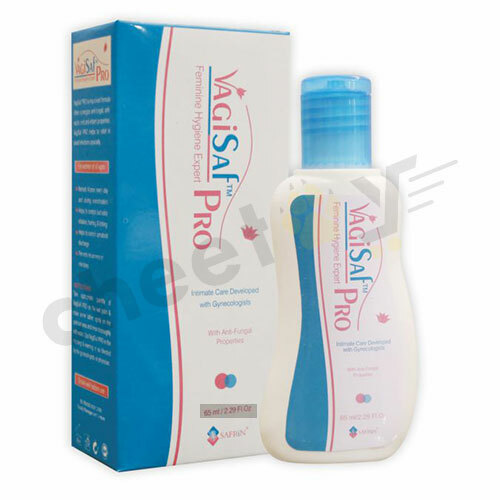 Just like sanitary pads promise to help you with periods, other products such as VagiSaf assists in keeping the most intimate part of your body clean in both your special and regular days. This feminine wash is a safe antiseptic that helps cure bad odour, itching and irritation, abnormal vaginal discharge and leukorreaha. So, order online through Cheetay - your personal hygiene delivery partner to resolve all problems and symptoms.